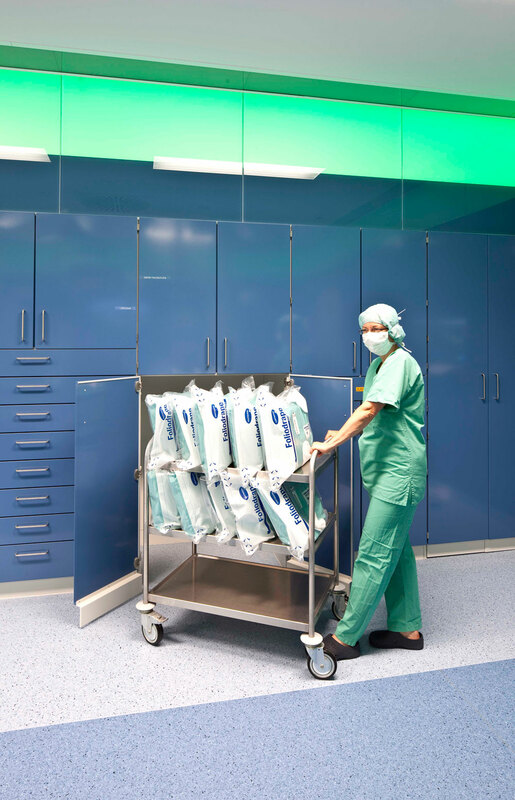 Preparation and anaesthesia, OR, recovery room – As proven, reliable and innovative partners, we have been supporting the work of physicians, medical staff and caregivers throughout the entire surgical process for more than 40 years. 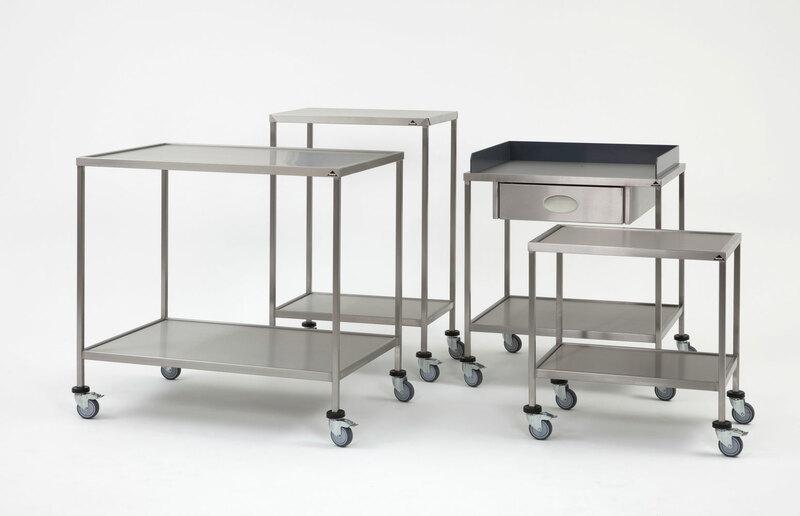 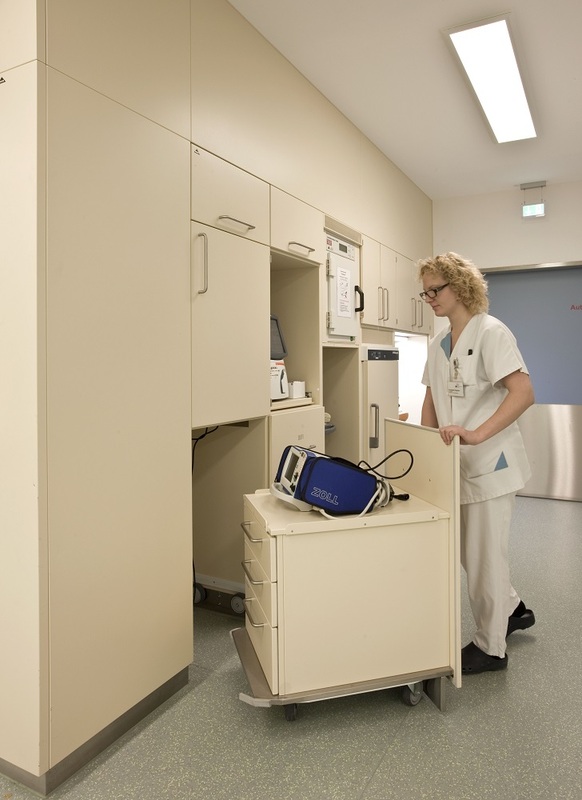 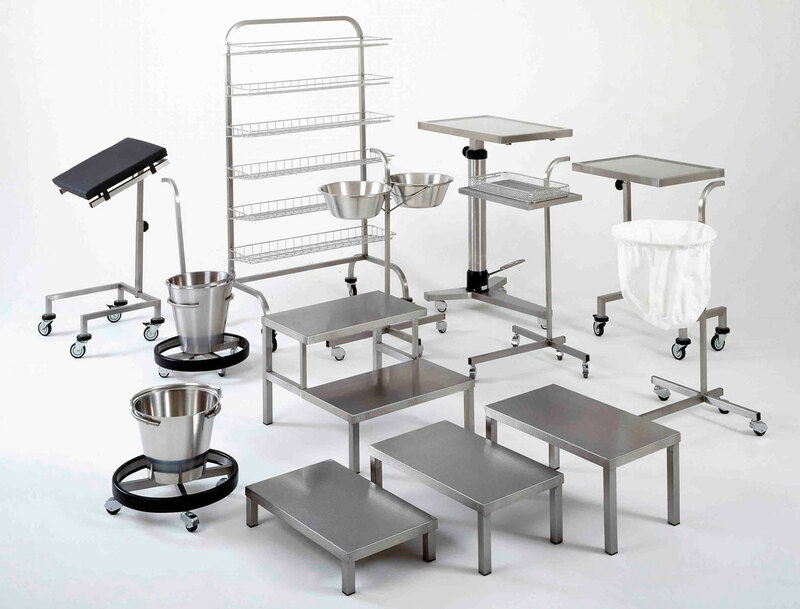 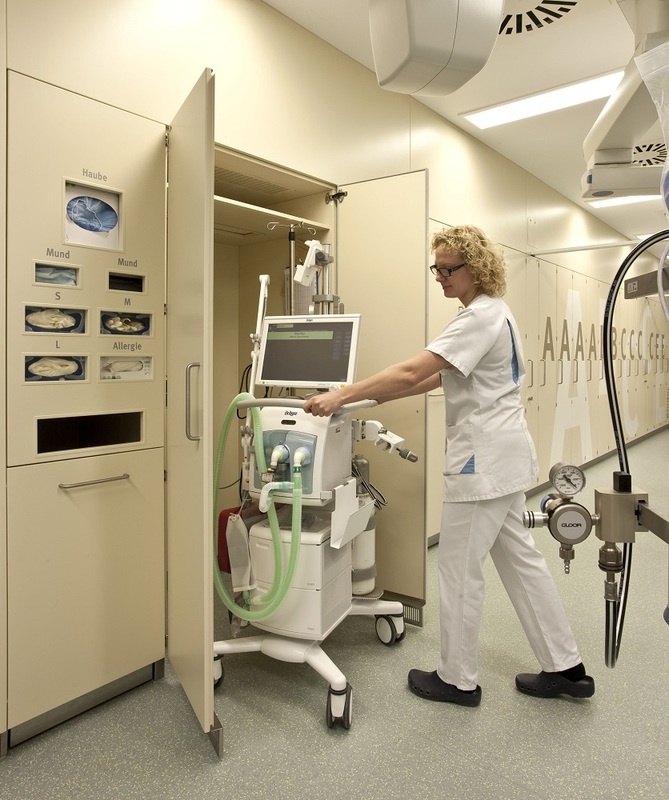 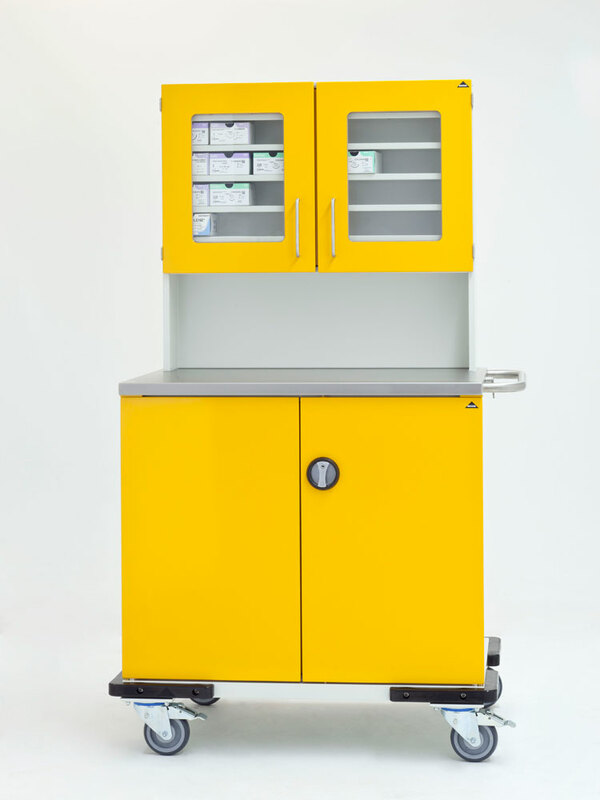 Our portfolio of furniture and equipment, both permanently installed and mobile, tried and tested and much praised, is perfectly suited for use in the anaesthesia room, the operating room and in the storage area for sterile goods. 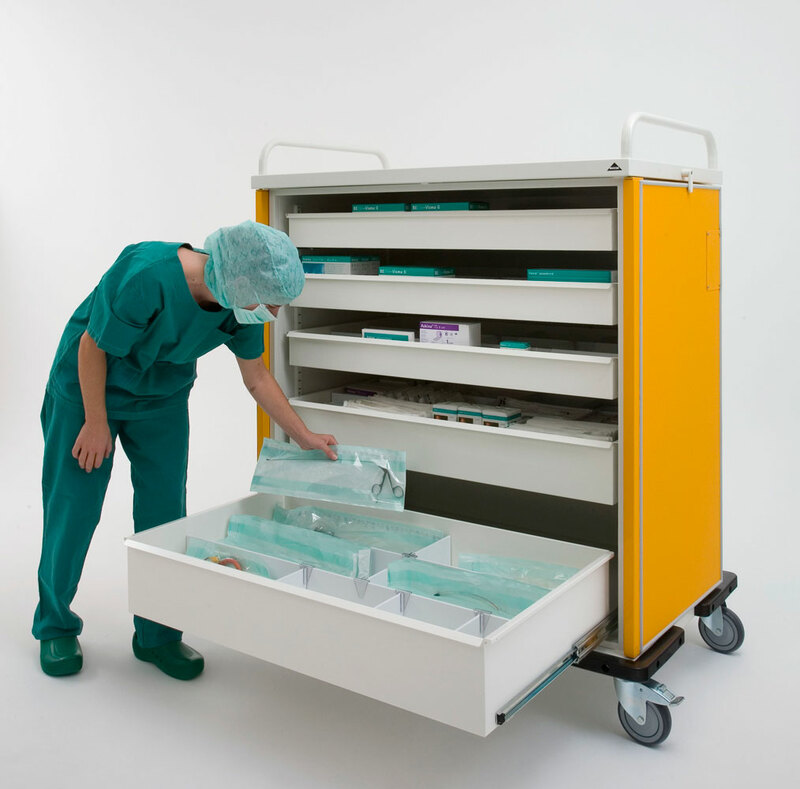 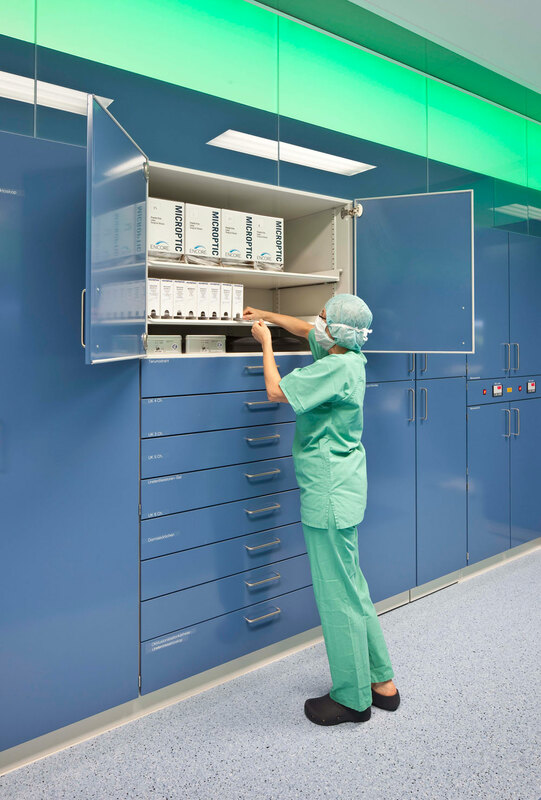 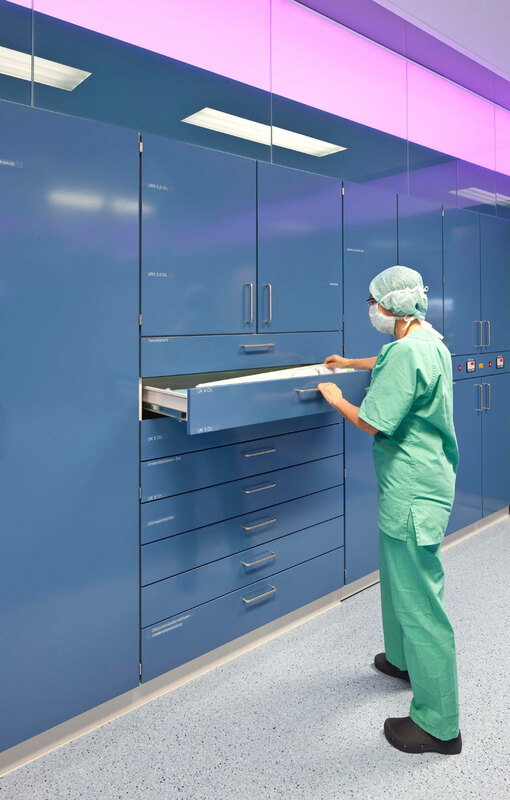 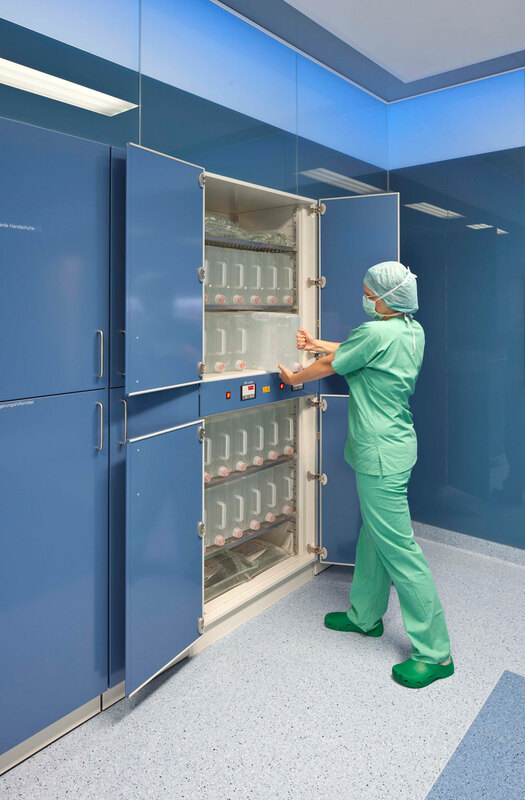 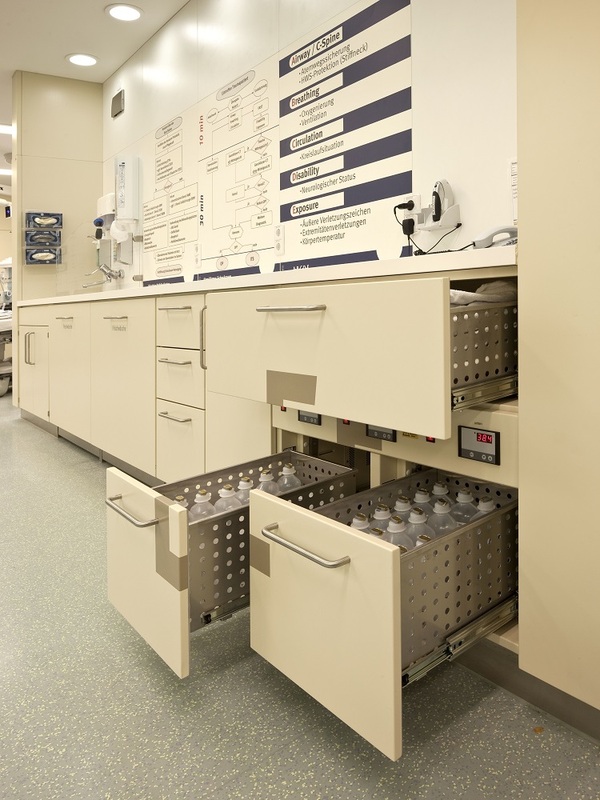 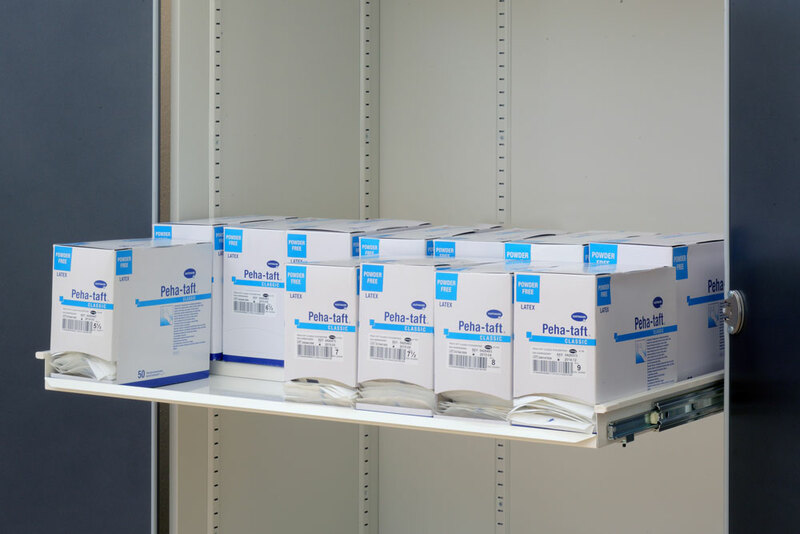 Especially our modular cabinet system BECKER M9 & M11 simplifies and optimises storage options: suture materials and replenishment stores for sterile and unsterile implants, surgical drapes, sterile gloves etc. 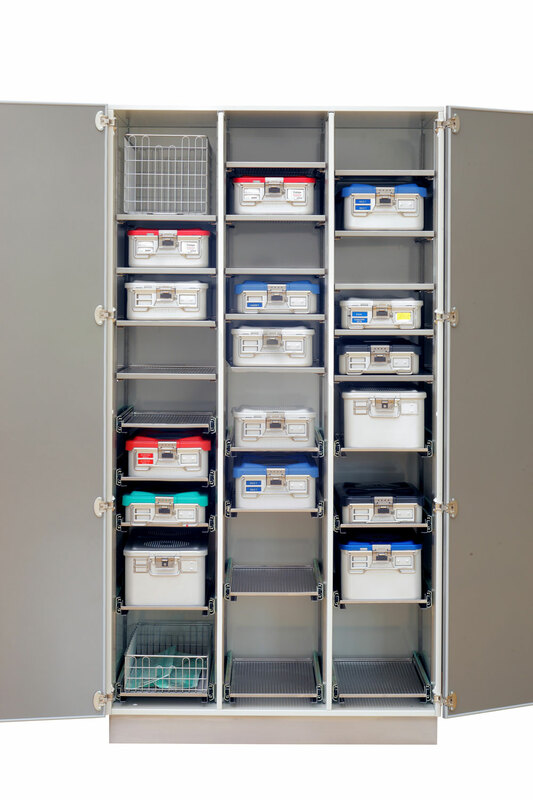 – all neatly sorted and arranged – are available for immediate use. 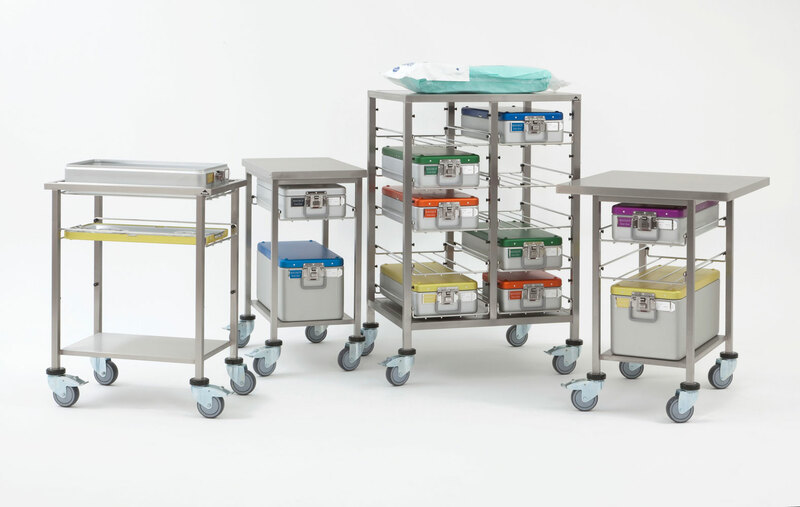 Our tip: BECKER stools for OR and our mobile furniture ensure ergonomic and safe mobility in the operating room: these also include BECKER surgeon’s step, BECKER OR supply trolleys and BECKER instrument tables – perfectly integrated and always exactly where you need them. 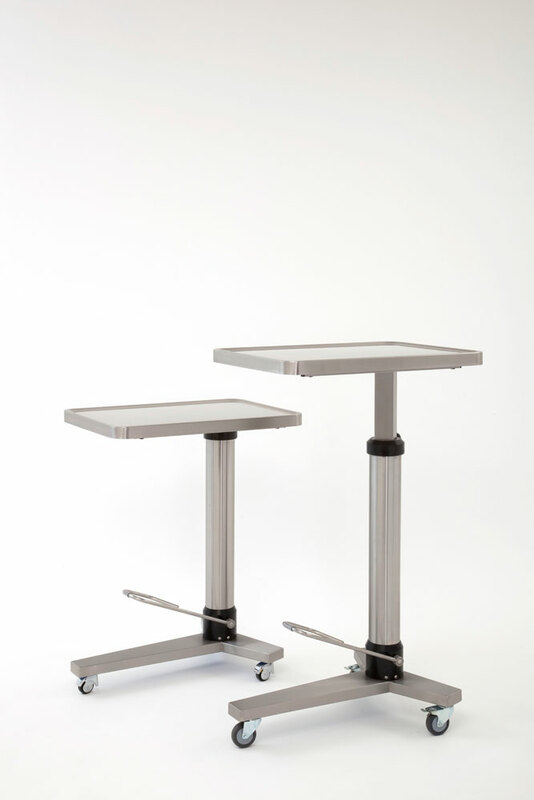 Proudly powered by WordPress | Theme: becker by Underscores.me.